I know…sports. Doesn’t seem like it belongs here but I will save the parallels-between-sports-and-the-arts-discussion for another time. One thing I will say is that the biggest stages can bring out the greatest performances, while also highlighting incredible shortcomings of our society. And the NFL is a pretty big stage. When the Panthers were playing my NY Giants (who are by no means bastions of sportsmanlike conduct themselves) Carolina was up 35 to 7 towards the end of the third quarter. Giants quarterback Eli Manning threw an errant ball out of bounds towards the Panthers’ sideline and Newton rushed over to grab the ball and feign like he was picking off the play. Everyone had a laugh, commentators said how he plays with a smile on his face, an enthusiasm that is welcomed and makes things fun for all…and then the Giants tied the game 35-35 with 1:51 left in the fourth. “But Cam wasn’t responsible for the defense’s mistakes that led to the Giants’ 28-point comeback.” You mean to tell me you don’t think a franchise player dropping his focus will cause his teammates to loosen? I will be the first to tell you…the 2015-2016 NY Giants were bad at football. There was no reason for them to get anywhere near 35 points. As the saying goes, the game ain’t over til its over and that one was a close call that Panthers fans should have been irked by even after Graham Gano’s game-winning kick. “But Cam is young, still learning and growing.” OK. To take the heat off him for a sec, when Richard Sherman trash-talked his way to fame after the 2013 NFC Championship, a lot of people rushed to his defense, claiming he was speaking his mind and reacting off the heat of battle. A year and a Superbowl ring later, I vividly recall Sherman on the sideline celebrating to camera after a seemingly key turnover against the Patriots in Super Bowl XLIX as if the game was virtually out of reach for the Patriots. It awoke within me a stirring feeling, and then came odd satisfaction when I saw Sherman’s reaction to, you know…that play. And let me be clear I categorically hate the Patriots. Now these two men are not all bad. 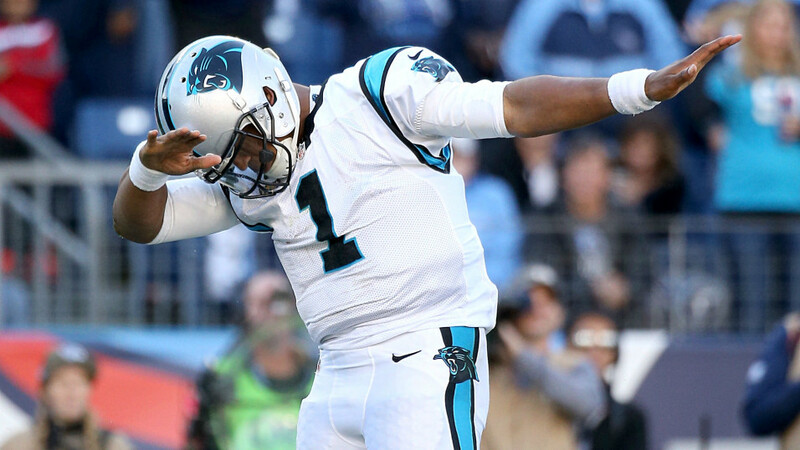 I’ve seen Newton celebrate touchdowns with terminally ill kids. I’ve seen Sherman shake the hands of his adversary even after a loss. But I’ve also seen a growing acceptance of their bad sportsmanship, writing it off as “Cam will be Cam” or “Sherman will be Sherman” as if success can justify showboating yet a loss brings little accountability, all in the name of passion. As the pundits discuss the aftermath of an unsporting act, its an actual debate as to whether or not what they did was justified. There is no justification for bad sportsmanship, no matter how passionate an athlete may be. Sure, mistakes can be made, players can go overboard but they should be acknowledged as mistakes and then we move on.